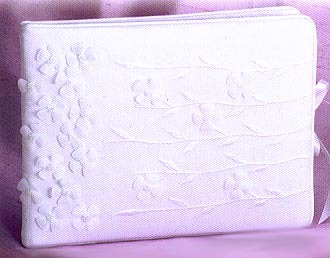 Floral embroidered guest book, coordinates with ring pillow SC476P11 in the "ring pillow" catalog page. Satin bow ribbon tie for closure. Aprx. 6"x9" holds plenty of guest signature room.